With recent trends in digital advertising focused on personalization and targeting, there might be a tendency for lift to take precedence over reach. Every marketer on the face of the earth would love to extend the audience for their campaign content – preferably at the lowest cost possible. Regardless of whether they’ve ever heard the term audience extension. Those who have can appreciate the potential this technology has to benefit both advertisers and publishers – and why they are both looking for platforms to make it possible. 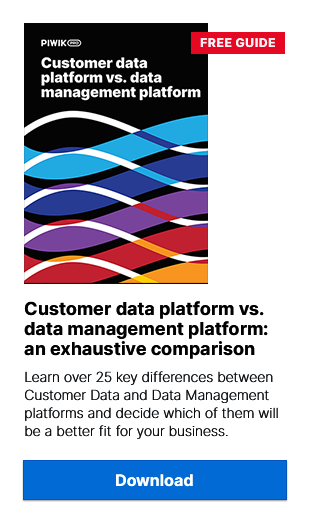 One of them is a data management platform (DMP). In fact, increased interest in ad extension is one of the reason that brands are more and more interested in adopting a DMP. In this article, we explain how audience extension works and what role a DMP plays in the process. Simply put, audience extension is the process whereby publishers offer advertisers the opportunity to target their website audience with ads on other sites around the internet. Of course, it’s not hard to see why this kind of arrangement would make both sides very happy. The significance (and value) of this method becomes even more apparent when viewed in the historical context of digital advertising. In the early days, digital ads were bought and sold just like in traditional media – in a direct, one-to-one relationship between advertiser and publisher. Programmatic media-buying tools changed that, opening up the possibility for publishers to offer their inventory to a wider range of advertisers (for instance, through a real-time bidding (RTB) ad exchange) and for advertisers to get access to ad slots across multiple publishers. Of course, this involves a lot of data. Advertisers gathered data from their own digital channels to better understand their potential customers and publishers collected information about their site visitors in order to make their ad inventory valuable for advertisers who wanted to serve targeted campaigns. The rise of programmatic ad exchanges, demand- and supply-side platforms (DSPs and SSPs) made it possible for the supply and demand side to “hook up”, by matching their audience data segments. This relationship made more personalization possible and created a much more efficient process, but it also opened the door to more possibilities – one of which is audience extension. Now advertisers don’t have to serve ads to audiences they know little about (like with traditional media outlets) or even based just on the data from the publisher where their ad will be served. With audience extension, an advertiser can target a web user who has previously exhibited certain behaviours (product purchases, pageviews, internal site search or even previous ad impressions viewed) with an ad served on another publisher’s site. And a DMP helps make that possible. Two of a DMP’s functions make it one of the key tools in audience extension. Audience segmentation and audience syncing. On the demand side, a DMP helps advertisers break down their customers’ past behaviour and demographic information and segment it so they know what kind of person they want to target. If a brand sells golf carts, they can use a DMP to analyze previous purchases, identify the key data points and then form an audience segment based on them. A publisher uses the audience segmentation of a DMP to separate its traffic into those groups that are potentially valuable. Again, this can be based on any number of factors – product or pageviews, time on page (for content sites), geolocation, etc. In both cases, the audience segments that a DMP creates are of no use until they are exported. This means either they are synced to an SSP or DSP for programmatic buying or bought/sold in a direct relationship between the advertiser and publisher. The big plus of audience extension for publishers is that they can monetize their audience data. And without even selling ad inventory. It is also a very useful tool for smaller publishers who attract a very specific, niche audience. Even if they might not be able to attract advertisers who want to run campaigns on their website, they can still make money from their valuable 1st-party data. Additionally, a larger publisher with lots of site visitors, can use audience extension to test the waters and see which segments of their audience can command the best price from advertisers. Then they can optimize their site content to attract even more of those types of visitors. One prime example of a publisher cashing in on the possibilities of audience extension is Facebook’s move to push its user data as a replacement for cookies. Since its acquisition of video advertising platform LiveRail, the social media giant has been making a play to woo advertisers and publishers alike with its rich pool of data. Not only can advertisers now target audiences within the Facebook system, publishers can use the social media platform’s data to sell targeted slots of inventory. The very nature of the information Facebook possesses (interests, geolocation visits/checkins, age, marital status) makes it an opportunity hard to ignore. It isn’t hard to see why advertisers would appreciate the possibilities audience extension presents. Lift: Campaigns can be targeted at users who – by their demographics and previous behaviour – have proven that they fit the advertiser’s profile of a potential customer. Reach: Instead of being limited to guessing where to buy inventory or to buying it only on that publisher’s site where ad space may be limited, an advertiser can serve relevant ads across a wide range of sites where that potential customer is browsing. In a word – the internet is the limit! Bigger brands will also appreciate the fact that – with different products and/or services in their repertoire – they are able to break down their campaigns more specifically. Now, for instance, a company selling car accessories could take audience data from a well-known blogger about BMWs and use it to serve ads for its BMW products on various sites. At the same time, it could take information from a car comparison site and target users who have viewed a VW car several times in the last 30 days. Both of these campaigns get greater reach because they could be served on news sites, social networks like Facebook or Pintrest, and greater lift because the publisher data has provided insights into the user’s interests and preferences. Audience extension may not be the end-all-solution for digital advertising but it is certainly a big step forward and a functionality that is becoming more and more standard. After the delight of publishers with programmatic media-buying for monetizing their remnant inventory, they are increasingly looking to get more out of their data. And that suits advertisers just fine.